RE: Bushwick Resident's Letter to Obama: "Way Out of Poverty? A Job with Livable Wage"
I am a 31-year old male living in Bushwick, Brooklyn for about a year now. Without any doubt, Bushwick has been on the path of gentrification and many have had their own opinions on the topic. Rather than casting a bad light on the topic, I see it from a different viewpoint. My parents fled Iran during the Iranian revolution of 1979 to pursue greener pastures after escalating religious persecution. No place better to come than the United States. They came with nothing in their pockets, but rather a heart filled with passion and drive and the pursuit for themselves and their children to follow. Being of Iranian descent has been both a blessing and a challenge. On one end I am grateful to be part of a deeply rooted culture with such history and traditions. On the other hand, Iran’s current regime has made itself an outcast from the rest of the world, something the media gladly sheds light on and often makes uncomfortable small talk when strangers ask me “where I’m from”. I too graduated from college with student loans, but I knew that with the right degree, my personal drive, and hard work that I can overcome this obstacle. My parents came here with nothing but an opportunity to study and work hard and that’s something I never forget. Although I don’t work in a glamorous field per Bushwick standards, I knew that in order to overcome my financial obstacles and goals, I needed to make some personal choices for my day job and focus on my hobbies and interests on the side and at the same time appreciate and support the beautiful artistic and culinary culture that Bushwick is creating for itself. After living in Bushwick for almost a year, I have seen some great things. Seeing shuttered and abandoned buildings being revamped and opened as a new business is one of the most notable highlights to see. For every one of the new businesses being opened, someone may have put everything on the line to pursue their dream of opening their own business – a restaurant, a café, a gym studio, a health practitioner’s office. Architects, designers, and construction workers all go to work to open up a new business in the neighborhood, leaving work to go home happy. After that, jobs are created for that small business, people working and abuzz in that small business that was once inhabited by rats in the past. The best way to pull someone out of poverty, to pay off student loans, to save up for your own business or to purchase your own home, is to have a job with a livable wage and these small businesses are putting those people on track. The answer lies not only in offering the homeless or impoverished a dollar or two, but also a livable wage to put them on a real path to sustenance and fulfillment and our community is on track to make that happen. 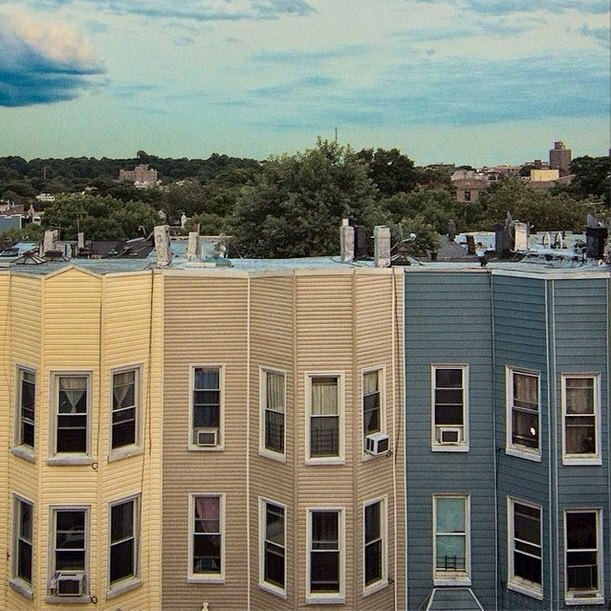 After scrapping up my dollars over the years I am proud to pursue the dream that my parents had hoped for and be able to purchase my own home in a neighborhood that has become dearest to me, Bushwick. Would you also like to write a letter to, perhaps not Obama, but to the Bushwick community? Email me at katarina[at]bushwickdaily.com with the subject "Letter to Bushwick." We will accept letters on any non-commercial subjects that concern the entire community of Bushwick. We reserve the right to publish only well-written, well-argued letters based on verifiable facts.